Used to define the information needed to assign SIP accounts and keys to provision the devices. Click the plus icon to add a device. Click the edit pencil icon to edit a device. Enter the mac address of the phone. Select from the drop down box the make/model. (Optional) Populate the Settings section. These settings are the same as the variables from Advanced > Default Settings > Provisioning and can be overridden in this settings section. Just set the variable for the device you are adding. Edit other fields as needed. 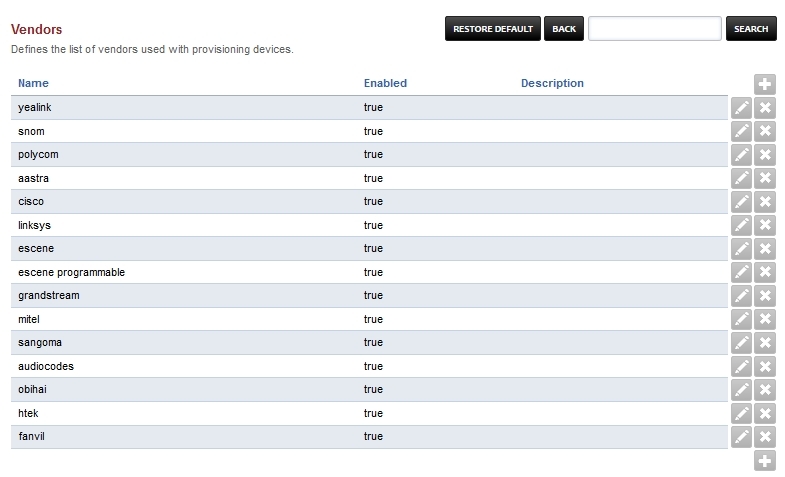 To view steps on how to configure other devices to provision click here for the provisioning section. 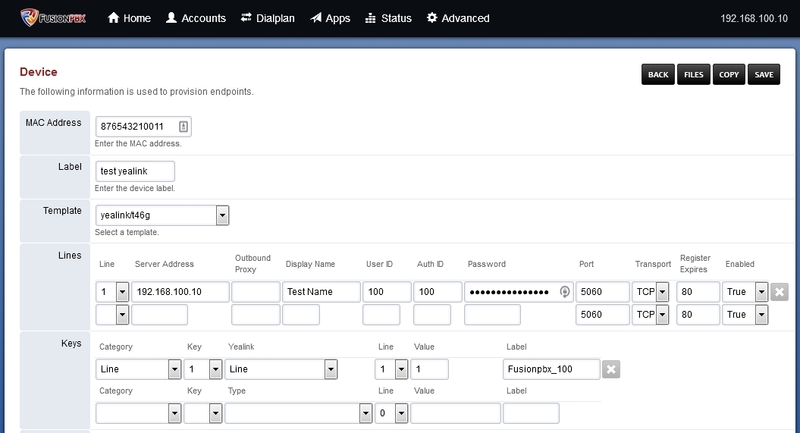 Vendors can be added or removed to help fine tune the devices page when configuring specific vendor phones. Define a set of keys as a profile. Any changes to the profile effect all devices assigned to the profile.